Hotel Terminus is one of the most popular hotels in Aba, residents find its outdoor pool refreshing and a good relaxation spot. Its services are well tailored to the needs of both business travellers and tourists looking to disengage themselves from the hassles of the metropolis. Hotel Terminus has an alluring environment spread over a large area; it is at 230/246 Azikiwe Road, Aba, Abia, Nigeria. The elegant lodges are categorised as Annex, Standard, Deluxe Double, Alcove and Business, Executive and Ambassador Suites. 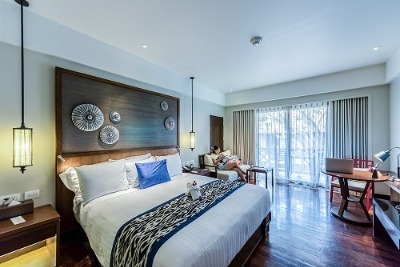 Comfort is ensured with an array of in-room amenities such as air conditioners, flat screen TV sets, telephone, sofas, work tables and private bathrooms with modern fittings and complimentary toiletries. It is notable for its swimming pool; guests can have a great time at the lounge/bar while downing a couple of drinks. The on-site restaurant serves varieties of dishes, both local and continental. Event facilities are available at an extra charge. An ample parking space is available on-site while the power supply is round-the-clock. Several extra services are rendered on request. These include laundry/dry cleaning, room service and luggage storage. Q: Does Hotel Terminus have an event hall? A: Yes, an event hall is available. Q: Does Hotel Terminus have a gym? A: No, a gym is unavailable. Q: Does Hotel Terminus have special cribs for kids? A: No, this is not available. Q: Does Hotel Terminus allow free parking? Q: Does Hotel Terminus offer free breakfast? A: No, breakfast orders are surcharged. Hotel Terminus is an affordable hotel in Aba, Abia. The hotel is not too good but not bad either. The bathroom was not very clean: all the facilities there were not in good working condition and there was water all over the place. The air conditioner was not working as well. However, their customer service was good. Staffs here were very courteous; I mean those ones I was able to interact with. I enjoy the place and the services provided. Environment was clean and room was conducive but they need to look into the towel in the rest room. The showers in my room was very old and needs to changed, the beddings are also old and not looking nice again and the refrigerator was also not working. There needs to be serious renovation and getting of new facilities. The hotel is okay but the facilities and old and falling, with renovation I think your hotel will be back to normal and good for customer. Have nice pictures of Hotel Terminus ?